Mark your calendar and save the date because the hotel blocks for AWA will be opening up starting February 1, 2016! 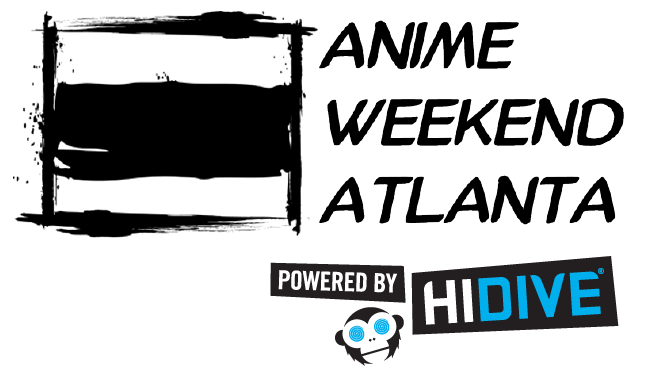 We have a variety of hotels at different price points and distances that will offer you a special Anime Weekend Atlanta rate, so don’t miss out! The Renaissance, Embassy Suites, and Sheraton hotels all sell out very quickly, so if you want to be close to the action, have your browser ready. The first round of pre-registration for AWA will be drawing to a close at 11:59 on 1/31/16. Prices will change to second round pre-registration on 12:00am 2/1/16. What does it mean to preregister for AWA? You can purchase AWA memberships in advance of the show, starting now, through August 31st online. These memberships are good for all four of the convention days, and membership badges can be picked up at any time during the weekend. Your membership badge will allow you access to guest panels, autographs, video gaming, table top gaming, the manga library, anime screenings and premiers, the Video Art Track and so much more! Additional tickets for very special events like the formal ball can be purchased when you register online as well. Being able to pick up your membership badges earliest on Thursday before the show. A separate line is available for picking up membership badges. You’ll have the option of skipping lines entirely and having your membership badges mailed to you. You can add on con shirts, or formal ball tickets when you register. If you are attending AWA as a group of 10 or more people, you can register online and get a special group discount. Group membership badges can only be picked up by the Primary Attendee- the person who paid for the passes online. From there, it is their responsibility to distribute the membership badges to their group. It is best to plan to arrive either together, or after the Primary Attendee, as they are the only ones who will be able to pick up the membership badges. If you arrive before the Primary Attendee, you must wait for them to pick up the membership badges. Early Start is an add-on to your membership that allows us to send you your membership badge certified mail for a small fee. You will be required to sign for the package when it arrives, so if you choose this option, have a plan for receiving your package. You can add this feature when registering. Once you have your membership badge, you are good to go for AWA – just show up and start having fun – no registration line required! You do not need a government issued ID, but it is generally the easiest form of identification. Other forms of ID will be allowed at the registration director’s discretion. AWA memberships are non-refundable. If you have pre-registered for the event, and can no longer attend, you can transfer your AWA 2015 membership to another person, or to the following year. Unused memberships from AWA 2014 and earlier can no longer be transferred. If you need to transfer your membership, you may do so up to 30 days after the end of the convention. If you do not contact us within this time frame, we will be unable to transfer your membership. Group memberships cannot be transferred to the following year, unless the entire group transfers. If you register with a group and cannot attend, you must transfer your membership to another person, or forfeit your membership. Early Start (mailed) membership badges cannot be transferred after they have been mailed. You will receive a confirmation once your membership badge is in the mail. If you have any questions, please contact us at registration@awa-con.com.